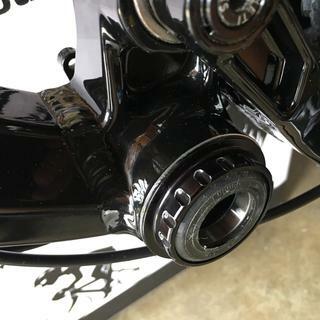 Install 24mm Shimano cranks into PF30 frames without an adapter with the Wheels Manufacturing PF30 to Shimano Bottom Bracket. The threaded design equates to easy installation, removal, and maintenance. Choose from Enduro ABEC 3 Seals bearings or Enduro ZER Ceramic Hybrid bearings options. Both have dual silicone VV seals which will ensure a long life of service and are the lowest drag seal available on the market today. Very easy to put on . works great. I might up grade my son's bike with the same one. JensonUSA always gets my orders processed and shipped quickly. Plus, because the principally use UPS, even the ground shipping is quick to arrive. this order was no exception, spot on. Awesome BB. Switched from Sram to Shimano on my Epic and its perfect. No noise as of yet. So far so good. This is my first experience with this company but the quality seems good, plus the company was responsive to a question I had (left a voice message). Easy install, very smooth bearings and no creaks in my carbon frame. The best alternative to standard pressfit bearings. It maybe a little heavier than regular pressfit bearings. But very carefree. Worth every ounce. Set it and forget it! Solid design and build. 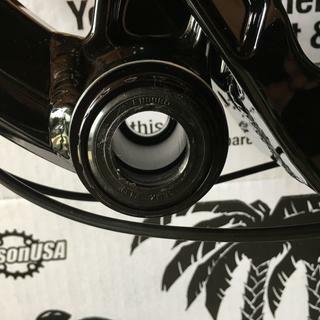 My bottom bracket didn’t come with the spacers and dust covers. I called Wheels and they sent missing pieces free of charge. So far, the bottom bracket completely removed the creaking. The bike feels brand new again and I can use an XT crankset on my Stumpjumper. Overall, very happy. Seems to be decent quality. So far so good on a carbon hardtail. As long as it's serviced on occasion & not left contaminated with moisture & grit the bearings should last awhile. Being threaded together should help keep it tight in bb shell. Very fast arrival in HK with no damage. Instructions were straightforward. Install was quick with Park Tools BB wrench. Press fit plus the threaded mating of the two sides is a good design as this will help in removal for cleaning/re-greasing. Only 200 miles its to early to tell. Was easy to install on new Yeti ASR. Spins great, but time will tell.Used Wheels Manufacture ceramic bottom brackets in past with good success. Great help picking the right 1 from Jenson staff. Workless. Blew two of them and no warranty from Wheels Manufacturer. Switched to FSA adapter with Shimano BB and no issues whatsoever. Race face has a Cinch crankset that is 24mm spindle, would this BB work as well? What tools are required for the installation? Will I need special drifts to press it in? Hello, all you need is the bottom bracket tool to spin it in. Just need a bottom bracket tool for removal or installation. Shimano/SRAM bottom bracket tool is all you need. will this work on my Tarmac SL5 2017 ? BEST ANSWER: If this is press fit, then you could use the PF30. If the frame of your bicycle has a thread, then you can use a shimano ultegra or dura ace. I think your bike has this last one BB. Specialized is apparently sticking with a 68mm-wide bottom bracket shell but the bearings look to be pressed directly into the shell. Really don’t know. I used it on a different bike. Check with the manufacturer as I do. They were helpful and timely in response to my email inquiry. I couldn't find a Tarmac SL5 for 2017. Are you sure about your year or model? Could it be a SL4 or a different year? Will this work on my 2012 Cervelo S5, which has the BBRight bottom bracket? I suggest you contact Wheels Manufacturing directly. They supply good answers in a timely manner. Would this work on a 2016 CAAD12 that has the Cannondale-specific Spidering crankset? I think the measurement might be different than the standard Shimano BB, but I'm not sure. BEST ANSWER: CAAD12s use a different standard, BB30a I believe. This is a PF30 BB and won't work. You may wish to contact Cannondale about their suggestions for fitting a Shimano crank to your frame.